Product prices and availability are accurate as of 2019-04-10 21:57:22 EDT and are subject to change. Any price and availability information displayed on http://www.amazon.com/ at the time of purchase will apply to the purchase of this product. 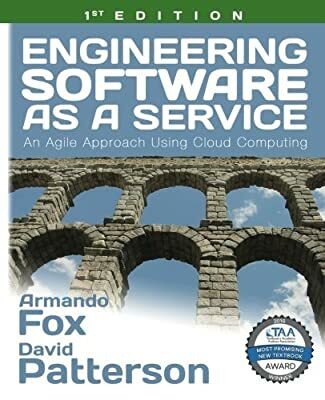 A one-semester college course in software engineering focusing on cloud computing, software as a service (SaaS), and Agile development using Extreme Programming (XP). This book is neither a step-by-step tutorial nor a reference book. Instead, our goal is to bring a diverse set of software engineering topics together into a single narrative, help readers understand the most important ideas through concrete examples and a learn-by-doing approach, and teach readers enough about each topic to get them started in the field. Courseware for doing the work in the book is available as a virtual machine image that can be downloaded or deployed in the cloud. A free MOOC (massively open online course) at saas-class.org follows the book's content and adds programming assignments and quizzes. See saasbook.info for details.